Mobile Japanese Culture to many of us in the United States and elsewhere may remain a mystery but not to Kei Shimada, Founder and President of Infinita in Tokyo. You see, Kei is a mobile evangelist for the Japanese people. In a land of 128 million people, surrounded by water, 109 million wake up, work with, play with, live and breathe with their mobile phones. Nine out of ten Japanese use either mobile services or have 3G wireless connections on their mobile devices, a higher penetration of wireless broadband than any other country in the world. Before the iPhone, Android and other smartphones emerged elsewhere, before the Chinese were playing mobile games , the Japanese people already had adopted mobile barcodes, mobile coupons and mobile advertising. Japanese culture has embraced mobile technologies unlike other countries and continents in the world. But then, Kei knows that well. He tells the world about the mobile Japanese. Fluent in multiple European languages, English and, of course, the Japanese language, Kei Shimada grew up in the United States while living more than half of his life in various parts of Japan. From his experience in the mobile, telecommunications, manufacturing and security industries, Kei has deep expertise in corporate strategic planning, business development, human resources and sales and marketing. 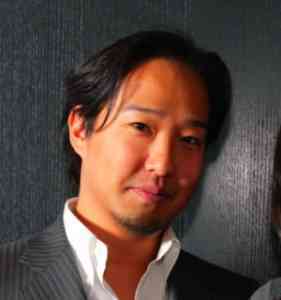 Kei likes to experiment with and implement new business ideas across cultural and geographic boundaries. After graduating from Waseda University in 1996, Kei worked for Panasonic, Lucent Technologies, Cybird and Synchro, all leading companies in their respective industries. His passions, aside from work, include tennis, snowboarding, travel – especially to Germany, Spain and Italy – and cooking with his wife. He is a gadget lover by nature and is now hooked on the HTC Hero Android phone, named by MobileBeyond as the best Android mobile phone over Google’s Nexus One. The Japanese Language: A Barrier to the World? Most Japanese, unlike Europeans, only speak their native tongue, which Kei says prevents many Japanese from communicating their culture and ideas throughout the world. This especially applies to mobile technology. 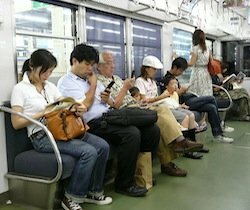 Most Japanese people, unlike mobile geeks in the U.S. and elsewhere, are not especially interested in how mobile is used in other countries. They’re so engaged in their own mobile devices they have no time. The opposite is also true. Most of us living in other countries know little of mobile Japanese culture. In this thirty minute podcast interview with Kei, he candidly talks about carrier mobile advertising snafus made in the earlier years of this decade but corrected (now a $1 billion USD market in 2009), how mobile content providers are well compensated by carriers, receiving 90% of total revenues, adoption of the iPhone by only 3% of Japanese smartphone consumers (the same rate as the U.S.) and growth of mobile TV in Japan, including the launch of Infinita.tv. that reflects mobile Japanese culture. While Kei admits when he started the company he never envisioned the Apple iPad as an upcoming device connected to the mobile Internet, he did envision mobile Internet devices, such as small PC’s, PDA’s and other devices streaming data from the Cloud. Infinita’s research, including white papers on mobile commerce, mobile TV and other market research analysis, consulting and other services help clients adapt the Japan model for services in other countries. Kei talks about his clients “taking inspiration” from Infinita and the mobile Japanese cultural experience. Listen as Kei Shimada tells a story rarely heard about an Island country where mobile is advancing faster than anywhere else in the world.